The safety information said, “When choosing a costume, stay away from long trailing fabric. If your child is wearing a mask, make sure the eye holes are large enough so he or she can see out. 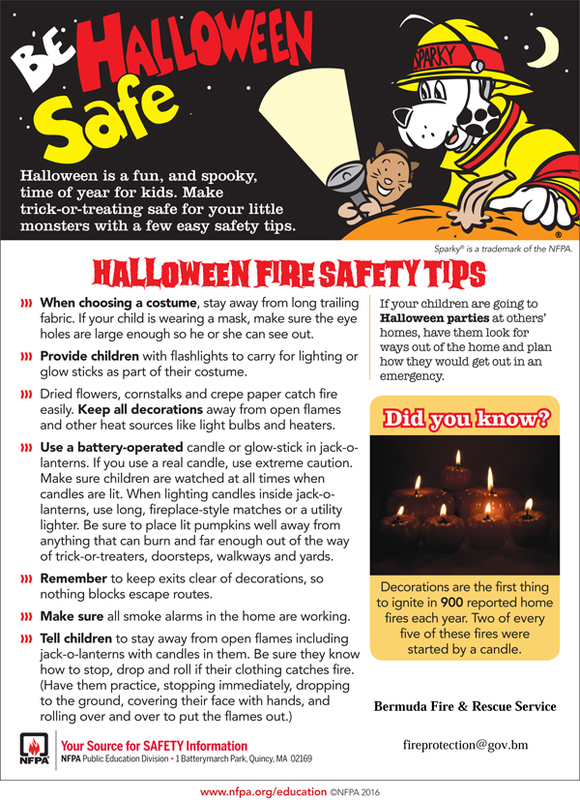 “Provide children with flashlights to carry for lighting or glow sticks as part of their costume. “Dried flowers, cornstalks and crepe paper catch fire easily. Keep all decorations away from open flames and other heat sources like light bulbs and heaters. 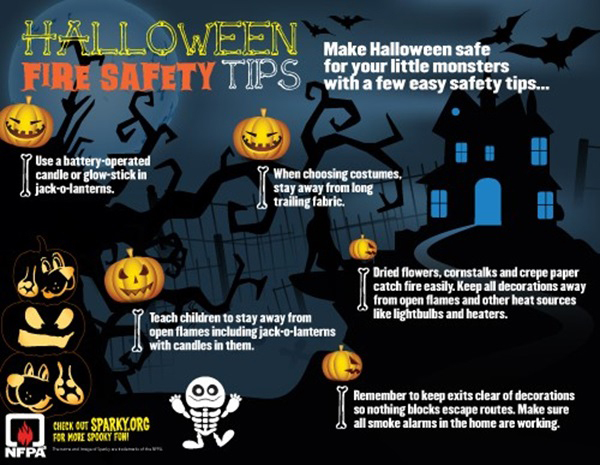 “Be sure to place lit pumpkins well away from anything that can burn and far enough out of the way of trick-or-treaters, doorsteps, walkways and yards. “Remember to keep exits clear of decorations, so nothing blocks escape routes. Make sure all smoke alarms in the home are working.